‘I’m fighting depression, it’s really hard and it’s exhausting’. Of course it’s exhausting if you are in the midst of a battle 24/7 and it’s hard. But it’s not your fault. It’s just that no one ever explains exactly why you’ve got depression or taught you the easy way to get yourself out of it again. You can fake being ‘ok’ on the outside when you need to, but inside all you feel is despair and hopelessness. It’s frustrating because you just don’t seem to be able to find the energy and motivation to do anything. Just existing day by day is an effort, you’ve tried everything but nothing works and you end up slipping back in depression, it’s exhausting. Listen, I know what it’s like, because I’ve been there. In 2002 I crashed and burned out of my career through stress and depression. Initially I was in no fit mental state to help myself, I just felt numb, all I wanted to do was crawl into bed and pull the duvet over my head and push the world and everyone in it away. But I did get out of my depression, for a while, a combination of antidepressants and leaving my career, but then I slid back into it in 2008 when life events got tough again because I didn’t understand what was really causing it or even that there was something I had do something to stop myself relapsing. 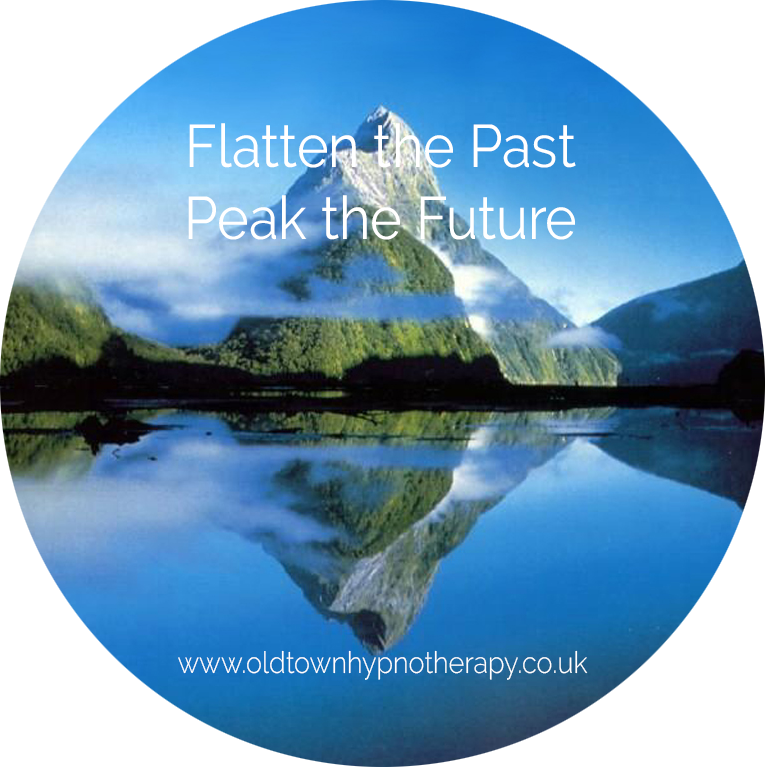 It all changed for me when I retrained as a Clinical Hypnotherapist and was introduced to the ‘real’ science behind anxiety and depression, the truth about what causes it and the things no one tell you about how to get out and stay out of depression. I thought my depression was caused by my stressful job and feeling like a failure, learning I couldn’t have children and my subsequent relationship breakdown – discovering it was something else completely blew me away. You too can just stop fighting, turn your back on it and walk away towards happiness, right now if you choose …. 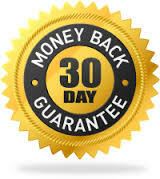 Teaches you new strategies you haven’t tried yet that DO work. You are going to STOP fighting your depression and understand exactly why that’s a losing strategy. You’re going to own your happiness. You will learn exactly what you have to do to create happiness any time you want. Discover how our primal blueprint relates to and is affecting your happiness and depression. Hear what one ordinary guy who pulled himself out of depression single handed has to say about it. It doesn’t matter how long you’ve been depressed. We’re going to change all of that. 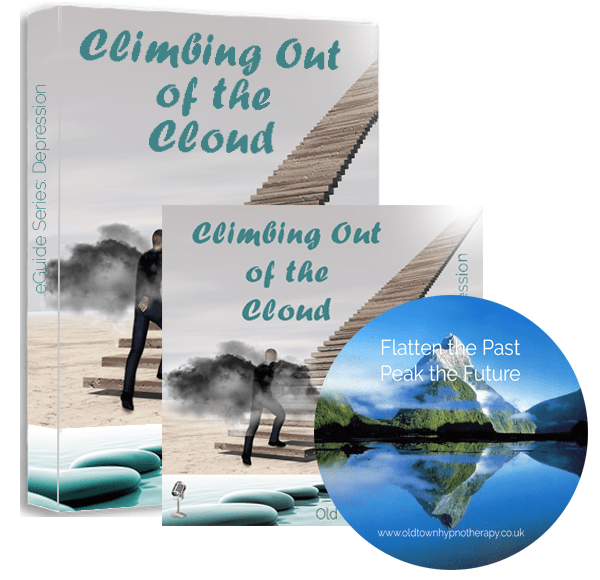 Order ‘Climbing Out Of The Cloud!’ right now, and you’ll have a full 30 days to read every page of the report, listen to the audio book and use the self hypnosis MP3 and use every strategy to rid yourself of depression the easy way. You will finally understand why ‘fighting’ depression is holding you back from finding freedom from it. You will get the old You back, the real YOU! P.S. 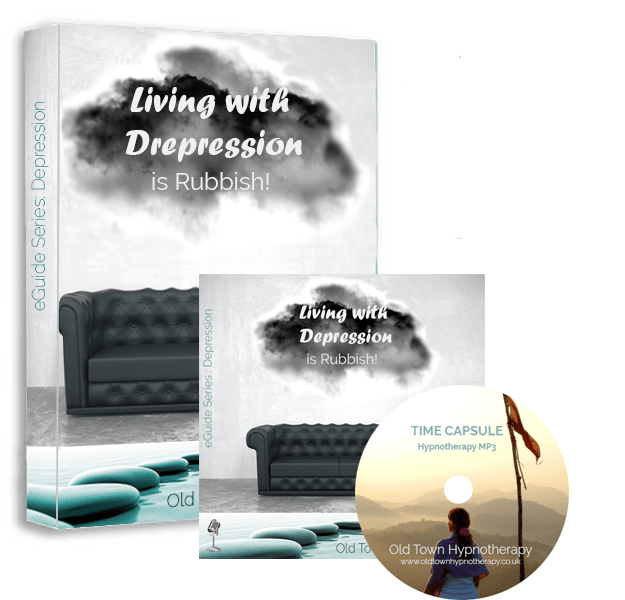 Simply put, this is the quickest, easiest and smartest way to cure depression.. You will understand the truth about depression, hear from someone who has already done it and realise that it is easier than you think it is to get yourself back to the happy ‘normal’ you again. Order Now – you’ll be glad you did! 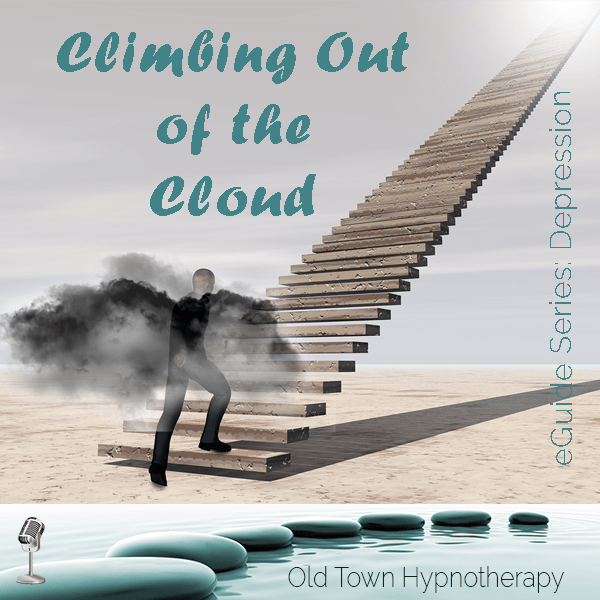 Climbing out of the Cloud is the second book in the eGuide Series ‘Depression’. 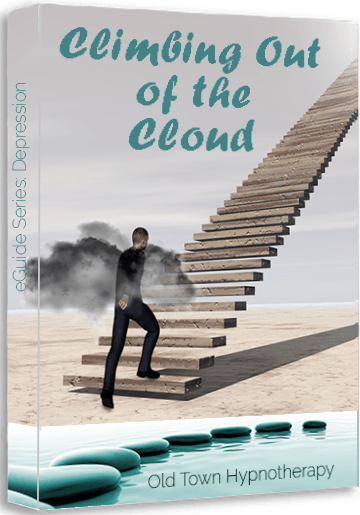 Get all three books in the eGuide Series ‘Depression’ and save money. "This has really given me new hope that I don't have to be at the mercy of my negative thought patterns - rather than just being advised to 'think positive", this has given me specific activities which will help to tweak the way my mind works. Without being over-scientific, this just makes the penny drop regarding why the brain fixates on depressive thoughts and why they won't go away on their own - and then explains how to change gear mentally and disperse the dark clouds"
Order the complete eGuide Series 'Depression' right now, and you’ll have a full 30 days to read every page of the report, listen to the audio book and use the self hypnosis MP3 and use every strategy to rid yourself of depression the easy way. P.S. Simply put, this is the quickest, easiest and smartest way to cure depression.. You will understand the truth about depression, hear from someone who has already done it and realise that it is easier than you think it is to get yourself back to the happy 'normal' you again with no relapse. Order Now – you’ll be glad you did!